I lay silently in my one-person tent as massive artillery shells blasted in the distance. I listened to the “fshooop!” as each launched, and the booming thump as each struck the ground. I tried to pass the time by counting the seconds between the release and impact, when my breath suddenly caught sharply in my throat. The final shell — which seemed much closer than the rest — made a different, almost cracking thud upon contact, shaking the ground beneath me and ratcheting my nervous energy up at least ten notches. Fortunately, amid these sounds of wartime, I was completely safe camping in a remote part of the Huron National Forest on the Camp Grayling Military Base in northern Michigan. Military trainees were practicing artillery drills nearby, but the trajectories of their shells were well out of range of our campground. I did, however, use the solace of those admittedly uneasy moments to imagine what it would be like as a soldier under fire, without the privilege of knowing I was safe. Those private moments served as the culmination of a months-long transformation that occurred within me as I really learned to appreciate and embrace the sacrifice our military brothers and sisters honorably take on. 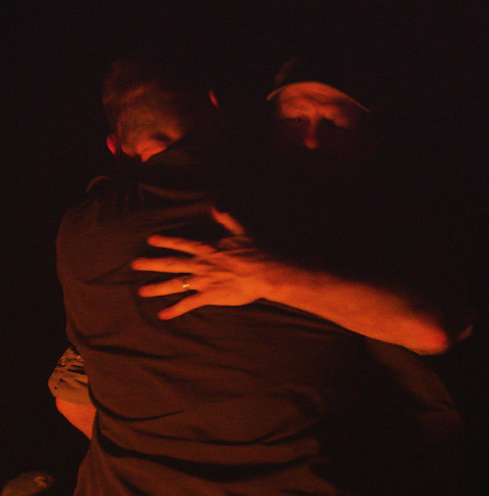 I’ll forever be grateful for that cathartic experience, and it’s that sort of unexpected life-changing bonus that often comes as part of being a documentary filmmaker. Certainly, it wasn’t anything I could have predicted three months earlier when this journey began. 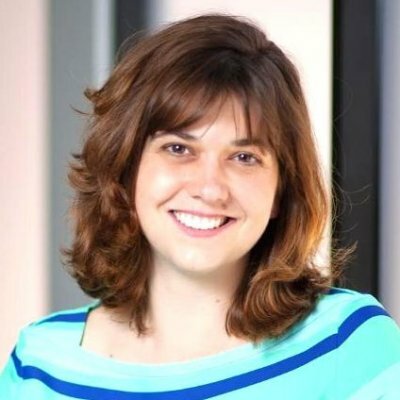 I had been randomly contacted via a LinkedIn InMail message by Mike Nuteson, who along with Christian Anschuetz, founded Project RELO — a nonprofit whose mission is to educate corporate business leaders on the value of hiring military veterans. I’d never met Mike, but he’d taken several of my LinkedIn Learning courses to learn video editing. In his message, he explained that he wanted to know how to make a documentary about Project RELO, so he reached out to the closest filmmaking teacher he knew — me. 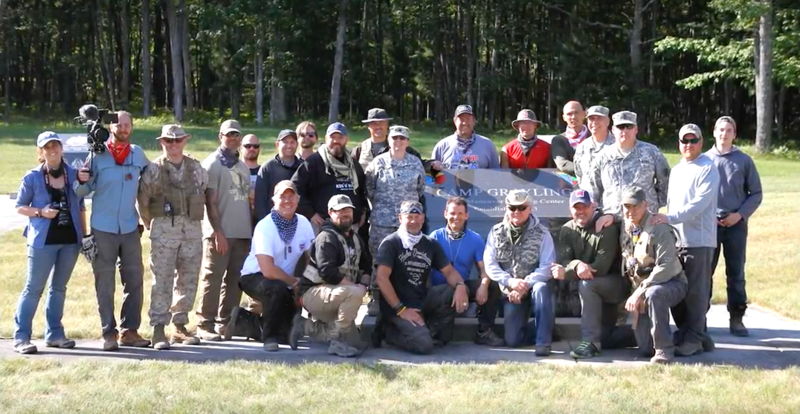 Our mission is to create a network that brings business executives and veterans together; we aim to educate corporate America on the value and character of our vets… We do this by creating off-road adventures that bring together veterans and business executives in unique and challenging settings. The founders of ProjectRelo feel it would be a great idea to create a documentary... Knowing that you teach courses in this area, do you have any suggestions on how to proceed? Mike was simply hoping for me to point him in the right direction. Little did he know that I had just pitched a proposal to make a series of courses on documentary filmmaking. I’d finally gained approval for the multi-course initiative, and all I needed was a subject on which to make a documentary! The rest, as they say, is history. Fast forward again to the campout, and I, along with a three-person production crew from LinkedIn Learning, found myself in the thick of a week-long documentary shoot. 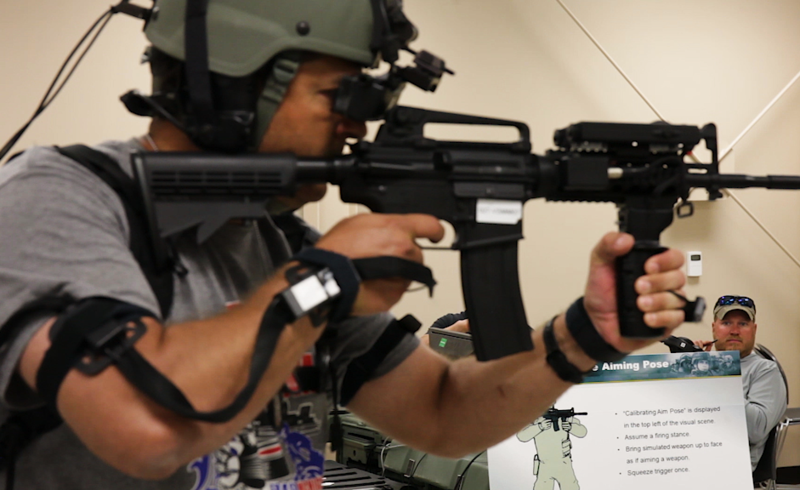 We were there to capture the magic that happens when you team rough-and-tough military veterans (most of whom had seen more than their fair share of active duty) with white collar corporate executives — CEOs, entrepreneurs and business leaders. I’d been researching and planning the production for months, and had already learned so much about Project RELO’s mission. I learned that roughly 250,000 vets transition from the Armed Forces to civilian employment each year. I learned that many business leaders aren’t tuned into how veterans’ skills, character and leadership abilities can translate to corporate job descriptions (which often favor specific technical know-how above other character-driven soft skills). I learned that many vets aren’t well equipped to talk about how their military skills can transfer to a corporate environment. I learned that many vets have such a difficult time breaking into corporate America that they often fall short of being able to pursue high-level careers, instead settling for jobs well below their true skill level. 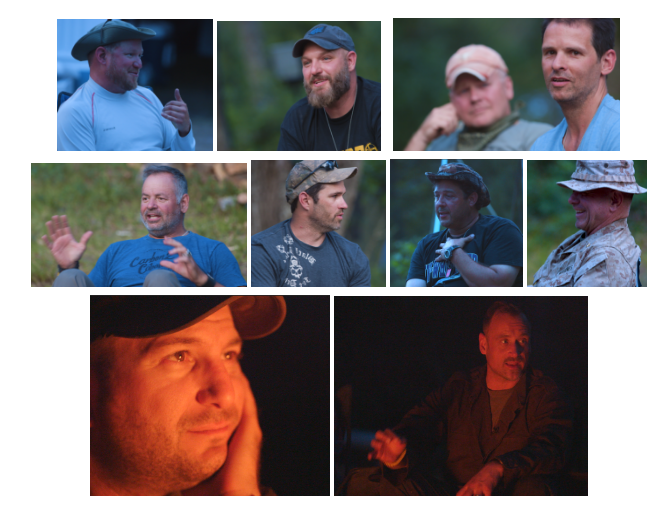 And I learned how the founders of Project RELO discovered that a great way to educate corporate business leaders on the value of hiring veterans was to team them up in off-road adventures, where the vets’ character, leadership abilities, problem-solving skills and coolness-under-pressure have an opportunity to shine. Yes, I technically learned all of this ahead of time, but it was only upon actually witnessing it happen right in front of me in the isolated Michigan wilderness that it began to change me. 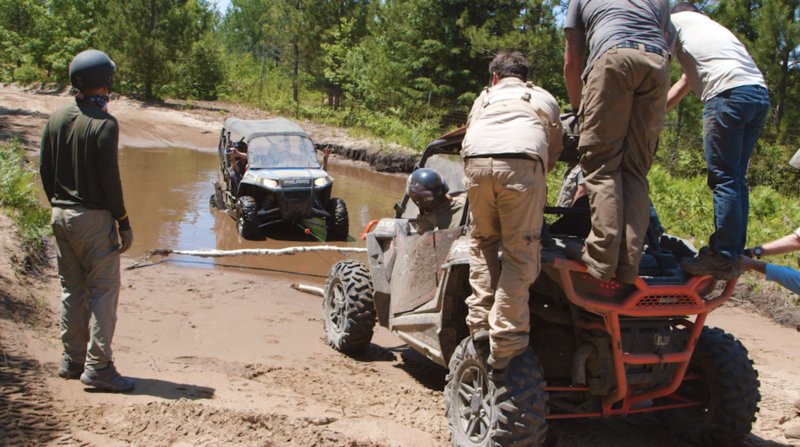 From behind the lens of the camera, I watched as seasoned soldiers led corporate presidents and CEOs through mud-bogging excursions in rough river terrain. I admired as they worked together to help each other through various obstacles. 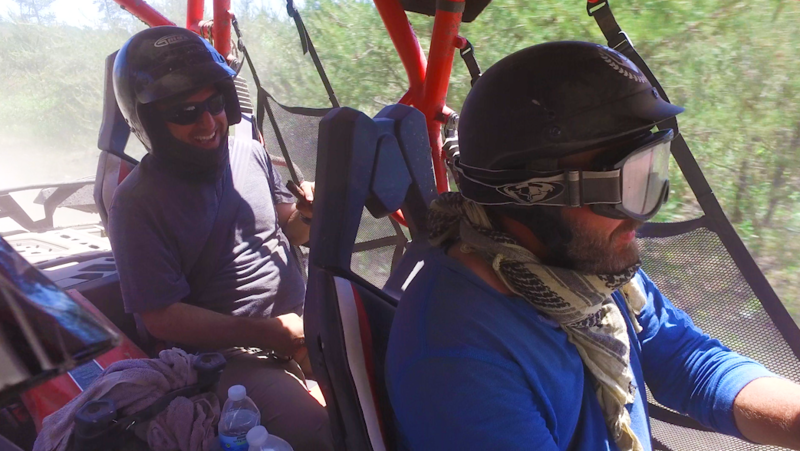 I smiled as they shared laughs and told war stories while whipping through the forest at 40 mph in their UTVs. I saw veterans continually step up as leaders, as they helped executives through a myriad of difficult situations. I watched partnerships form while they navigated through pitch-dark underground tunnels, where executives pushed through to overcome varying degrees of claustrophobia and anxiety. 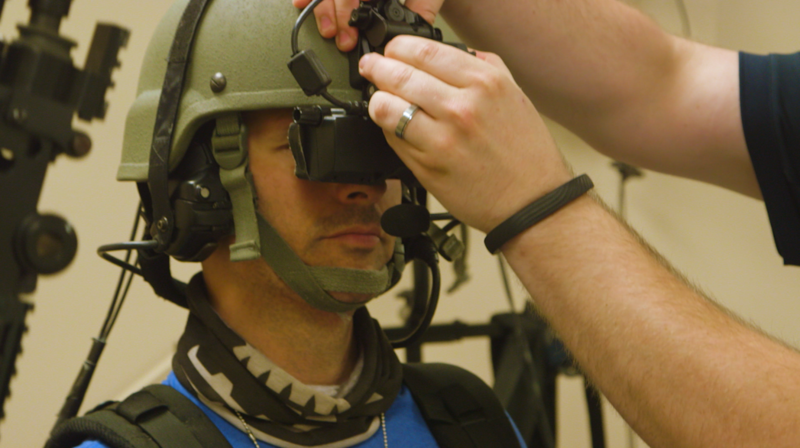 And I watched as executives took on the virtual reality combat experience, while the veterans guided them through mock wartime scenarios. 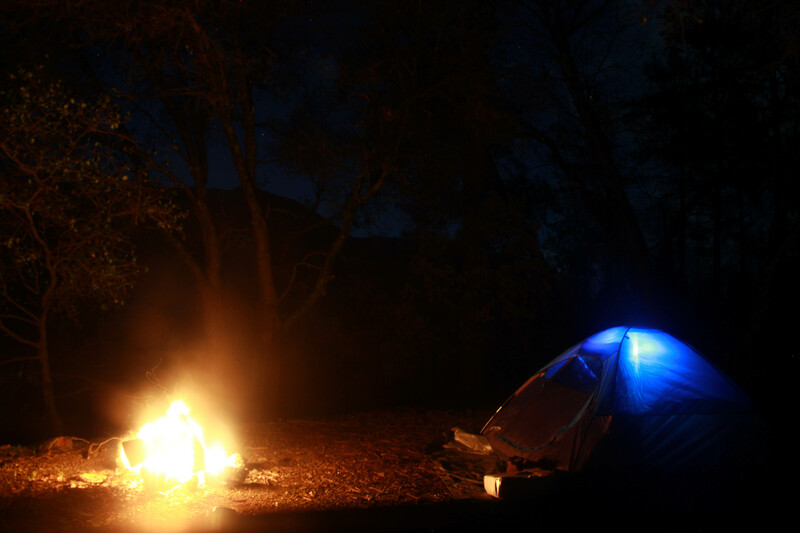 But it wasn’t until the final evening — a few short hours before that solitary moment in my tent — that I witnessed all participants, veterans and executives alike, pour their hearts out during a two-hour personal storytelling session over the campfire. It was clear that I really was watching something special: the forging of a strong brotherhood between men with drastically different life paths. I can now say that night I shifted from someone who proudly hung her flag on Memorial Day to someone who wanted to make a difference for the hundreds of thousands of vets who have given so much. And you know what? It’s not just that the Project RELO mission is successful in bringing people together, teaching important lessons and forming lifelong bonds. It actually works. Several weeks after the conclusion of the mission, one of the veterans reached out to me and let me know that he’d gotten hired into the corporate career of a lifetime — by one of the executives on the trip. I later found out that he was but one of several success stories from that trip alone. And so while very different life paths converged in those Michigan woods that week, it’s clear that the resulting connections between these military and business leaders changed everyone that night — including me. Project RELO is all about making veterans’ futures brighter and more successful. To that end, LinkedIn is working to #HonorOurFuture through programs for veterans. This initiative is meant to reorient the focus on veterans—away from solely thinking about their past, and instead concentrating on their futures and all they have to achieve. You can learn more by checking out this video or going to veterans.linkedin.com. Interested in making your own documentary, but don’t know where to get started? 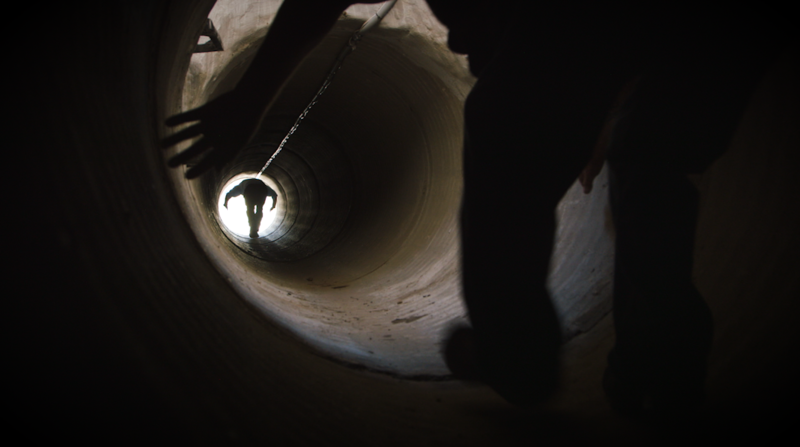 Check out our Learning Path, Become a Documentary Filmmaker.